KARACHI - It has been expected that State Bank of Pakistan (SBP) would withdraw the condition of National Tax Number (NTN) for all sale and outward transactions of $10,000 or above. 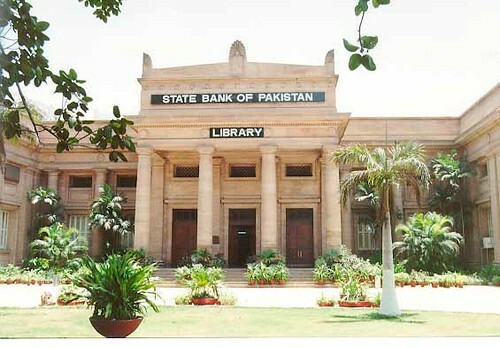 A meeting was held between the officials of State Bank of Pakistan (SBP) and representatives of Exchange Companies Association of Pakistan (ECAP), chaired by State Bank Governor Yaseen Anwar, the SBP officials assured ECAP that all issues relating to exchange companies will be resolved on a priority basis, a private television channel reported Sunday. The SBP Governor met with representatives of money exchange companies on the directives of Finance Minister Ishaq Dar and the companies in an exclusive meeting Friday were assured that all their pending issues will be resolved in coming days. Sources said on the recommendations of the ECAP, the government is also likely to make some changes in the import procedure of gold as the ECAP feels that Pak rupee is weakening due to rising demand for the greenback for gold import. They said during the meeting, ECAP urged the government to withdraw Foreign Exchange Circular No 4. �According to new directives, for all sale and outward transactions of $10,000 or above (or equivalent), National Tax Number (NTN) of the customer will be obtained by the exchange company which will be mentioned on the transaction receipt along with CNIC/Identification Number of the customer,� said the SBP FE Circular No 4. As they believed that these directives have created panic in the market and exchange companies are unable to meet this condition. During the meeting, the SBP Governor said the SBP is working aggressively to contain the hyper depreciation of the rupee against the dollar through all regulatory measures to be�introduced in the interbank and open market. The ECAP also informed SBP that massive buying of the greenback for gold import has created panic in the currency market and resulted in some 5 per cent deprecation of PKR in a few weeks. The SBP Governor ensured the ECAP members that all the recommendations will be considered on high priority basis and regulatory measures will be taken with the help of exchange companies.